← Friday Nerdy Music Links: It Was In A Movie and Everything! When I was growing up, my family had a sheet music collection stashed near the piano, full of show tunes, old-timey popular music, hymns, and other sentimental delights. Sometimes I would catch my Mom or Dad playing and singing from this repertoire with an expressive abandon that they didn’t otherwise have much time for. This music seeped into my consciousness, and would eventually compete for space with the respectable classical music I learned in my piano lessons and, later, in college and graduate school. And that goes a long way toward explaining how I came to be the nerdy cheeseball you know and love today! 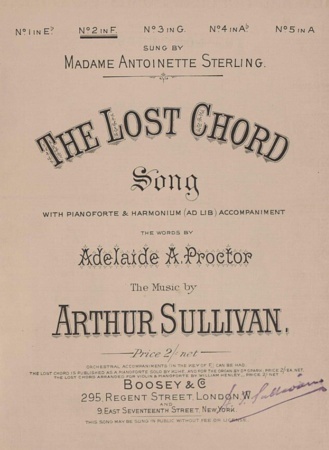 One song my Dad particularly liked was “The Lost Chord,” by Sir Arthur Sullivan (yes, that Sullivan), on a poem by Adelaide Anne Procter. 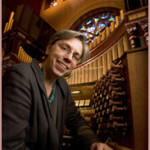 The poet describes improvising at the organ and happening upon a “divine” chord that, among other things, “quieted pain and sorrow, like love overcoming strife.” But this being music, which moves in real time, that sublime chord couldn’t last forever, and the poet despairs of ever finding it again, except in heaven. Sigh! The truth is, though, it’s not that any one individual chord is more beautiful than any other; it’s the movement from chord to chord that creates the magic. That’s a rather long-winded explanation of why on earth I would have thought of Arthur Sullivan while listening to the Cantata Singers‘ performance of Alfred Schnittke‘s Concerto for Mixed Chorus on Saturday night. But there was chord-to-chord magic all over the place, as ephemeral and sublime as the Sullivan song describes. Cantata Singers always impresses with their technical musical excellence, but what clinches it for me is their obvious affection for and commitment to everything they sing, especially when they choose works slightly off the beaten path, as they did here. The text for Schnittke’s concerto comes from a sacred poem called The Book of Lamentations, by Grigor Narekatsi, a 10th-century Armenian monk. So you know this is gonna get serious. The poetic imagery traces a spectrum from anguish to ecstasy, and the music keeps up with it at every turn. As John Ehrlich writes in the program notes, so numerous are these moments in the piece that “it becomes an empty exercise to try to point all of them out.” So I’ll give you just a few from the first movement. About twenty seconds in, we are treated to a low D in the bass section — you’ve got to love that Russian bass sound — ending the phrase, “O Pav’elit’el sushchevo fs’evo” (“O Master of all living”). (After the performance, I heard one of the singers say there were even a couple of low Cs later on. Wow!). About twenty seconds later, a widely-spaced chord opens up for the text, “tvar’ashchij fs’o iz nichevo” (“creating all out of nothing”), with the first sopranos hitting a high B-flat that’ll blow your hair back better than riding in a convertible. Another glorious harmonic arrival happens at 5:55, on the words “n’eistashchimyj klad” (inexhaustible treasure), but then check out the sweet echo in the women’s voices immediately following, quietly jumping up an octave on “prechistyj dozhd'” (“purest rain”). If that doesn’t wipe the grime off the windows of your soul, I don’t know what will! Here’s a playlist with all four movements of the work. Arvo Pärt‘s Berliner Messe, using the traditional Latin mass text, is a bit less lush in comparison to the Schnittke — the program notes compare it to “a tart and cool limoncello,” while the Schnittke is more like a flourless chocolate torte — but still quite powerful and affecting. (I think I would have preferred to hear it first and the Schnittke second. I always like to end with a rich dessert!) It begins quite sparsely, with the organ accompaniment trading pedal tones and little homophonic snippets with different sections of the choir. The organ part was relatively restrained and spare throughout the piece, only going full throttle for a couple of Amens. I appreciated that; the organ never overpowered the voices or obscured the text. Here’s a playlist with all movements of the mass. Pärt’s setting of the Credo was particularly rhythmic, almost motoric. It was very appealing, though at times the natural accent pattern of the text was ignored in favor of the rhythmic pattern of the music, which is a pet peeve of mine. But you have to find some way to get through all that text! 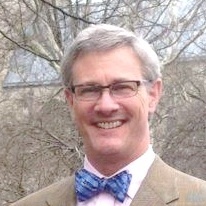 Cantata Singers’ next performance is March 18, with works by J.S. Bach, Brahms, Demantius, and Liszt. 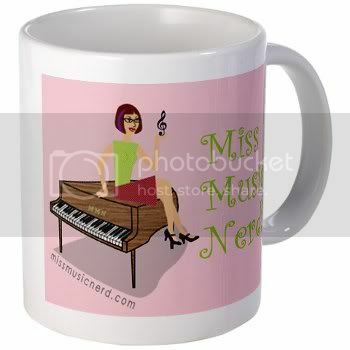 If you’re in the Boston area, be sure to check them out, and tell ’em Miss Music Nerd sent you! Cantata Singers: A Revelation to Revel in! What a fantastic post. My mom and dad had an LP collection not unlike your parents’ taste. I count among my influences Stephen Foster, The Tijuana Brass, and The Man from Lamancha. Heh. It’s interesting – Scriabin was a composer very important to Schnittke, both shared an interest in theosophy; undoubtedly he knew of Scriabin’s “mystic chord,” or the “chord of pleroma,” as Scriabin called it. I wonder if Procter’s found the “lost chord” first? (-: In any case, I’m going to look in the Concerto for Mixed Chorus for the mystic chord. Thank you very much for your kind comment, Mary! Perhaps I should revise my statement that it’s only the context that makes a chord special, because there are some that stand on their own after all… still, getting there is half the fun! 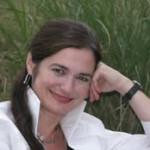 THANK YOU, Miss Music Nerd, for a thoughtful, relevant review of this concert! PLEASE ask The Boston Globe for a job; you can replace their reviewer, who may not even have attended Saturday’s concert (based on his useless commentary).